MINOT, NORTH DAKOTA — The first presidential debate that put “Big Bird” in the news also helped to put in perspective the challenge of reining in federal spending before it irreversibly bankrupts our country. 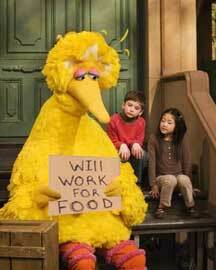 Governor Romney said that as president he would eliminate federal subsidies to programs such as the Public Broadcasting System (PBS). “I’m going to stop the subsidy to PBS. I’m going to stop other things. I like PBS, I love Big Bird. But I’m not going to keep on spending money on things we borrow money from China to pay for,” he said. I am sure that Mr. Barton’s outrage has nothing to do with the fact that taxpayers fund his salary. Yet it should trouble everyone when such a celebrity uses incendiary language such as “targeting” children to attack anyone who points out the unnecessary spending of those dollars. Sadly, it is simply false that American education has seen “significant improvement in education, literacy, math, science, and life skills for generations of our children.” The opposite is all too true. Yet, Mr. Burton is using taxpayer funding to spread false propaganda regarding American education. Perhaps his most distorted statement is, “PBS represents .00016 percent of our nation’s budget, yet this free resource benefits kids across all economic circumstances.” PBS is not a free resource — it receives approximately $455 million of taxpayer funding annually, of which $5.7 million goes to Sesame Street. The problem with those who expect taxpayers to give them money is their lack of understanding that those taxpayers have to work hard to earn that money and then have to do without it. Suggesting that it is “free” or an insignificant part of our work effort should outrage every one of us. For each of the last four years, the federal deficit has exceeded $1 trillion, including dollars used to fund hundreds of thousands of programs like PBS. This deficit spending is a hidden future tax. It is not free. Rather, it is a claim on our future earnings to pay for unnecessary current spending. Mr. Burton’s comments illustrate the thinking that permeates today’s culture. The Mr. Burtons of the world view other people’s earnings and future earnings as something they have a right to claim. And they think it is appropriate to attack anyone who challenges this thinking. Every dollar the government spends is a dollar our families must do without. Deficit spending accounts for one out of every three dollars the federal government spends. And it must be repaid — not dollar for dollar but with interest added. The only way to save our country, reduce our debt, and control a government that has grown out of control is to cut thousands and thousands of “free” programs like PBS. If Mr. Burton’s comments are illustrative of “significant improvement in education, literacy, math, science and life skills,” I suggest defunding PBS is not only fiscally prudent; it is absolutely necessary. Massive debt like that of the United States comes from the irresponsible spending of one dollar at a time. A whopping $5,760,000 tax dollars going to PBS is neither insignificant nor free. It is the total annual income of more than 150 families. It is time to begin the huge job of cutting the spending of the equivalent of more than 200,000 such programs. This is what it will take to eliminate our deficit spending. A Voice from Fly-Over Country is copyright © 2011 by Robert L. Hale and the Fitzgerald Griffin Foundation. All rights reserved. Robert L. Hale received his J.D. in law from Gonzaga University Law School in Spokane, Washington. He is founder and director of a non-profit public interest law firm. For more than three decades he has been involved in drafting proposed laws and counseling elected officials in ways to remove burdensome and unnecessary rules and regulations. See a complete biographical sketch.